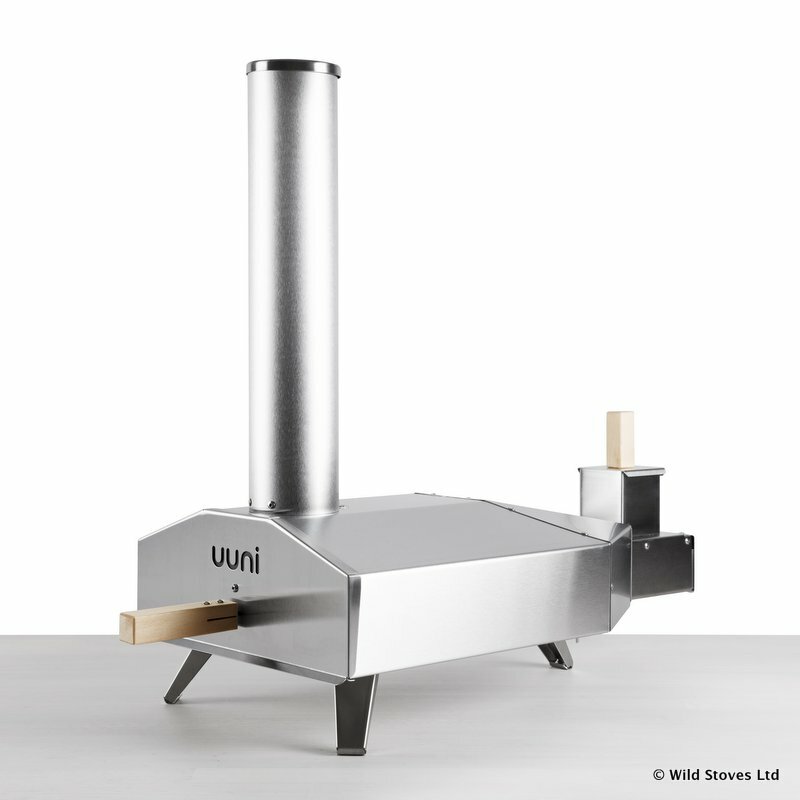 A compact, fast and affordable wood-fired pizza oven. 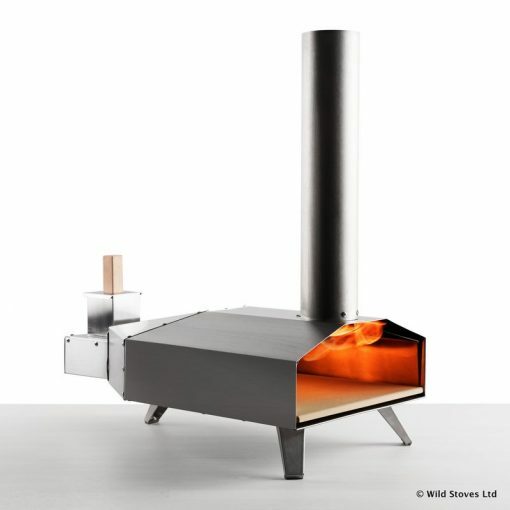 500°C in 10 minutes, fuelled by natural wood pellets. 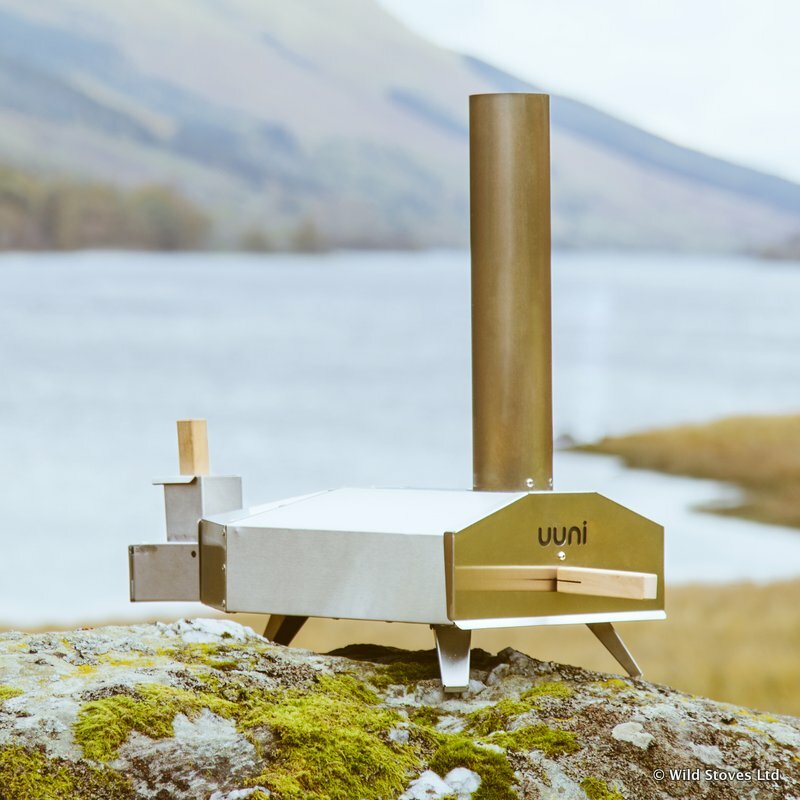 These are now rebranded to Ooni – mainly because no-one knew quite how to pronounce Uuni! Unni? Ooni? Yooney?! Now it’s clear: it’s OONY! 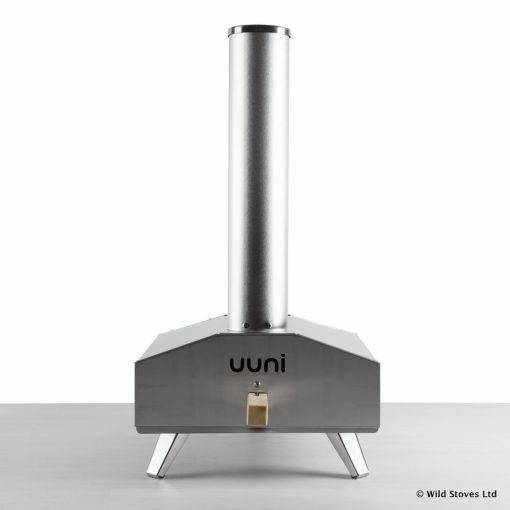 The wood pellets we supply with these ovens are not Uuni branded. Instead we source premium British pellets that have even enjoyed by hundreds of customers over the last few years. They are excellent! 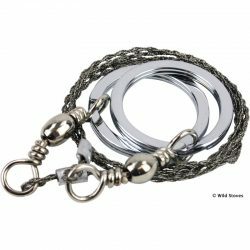 Find out more about them in this blog post. Wood pellets can also be bought separately here and are only available to mainland UK addresses. 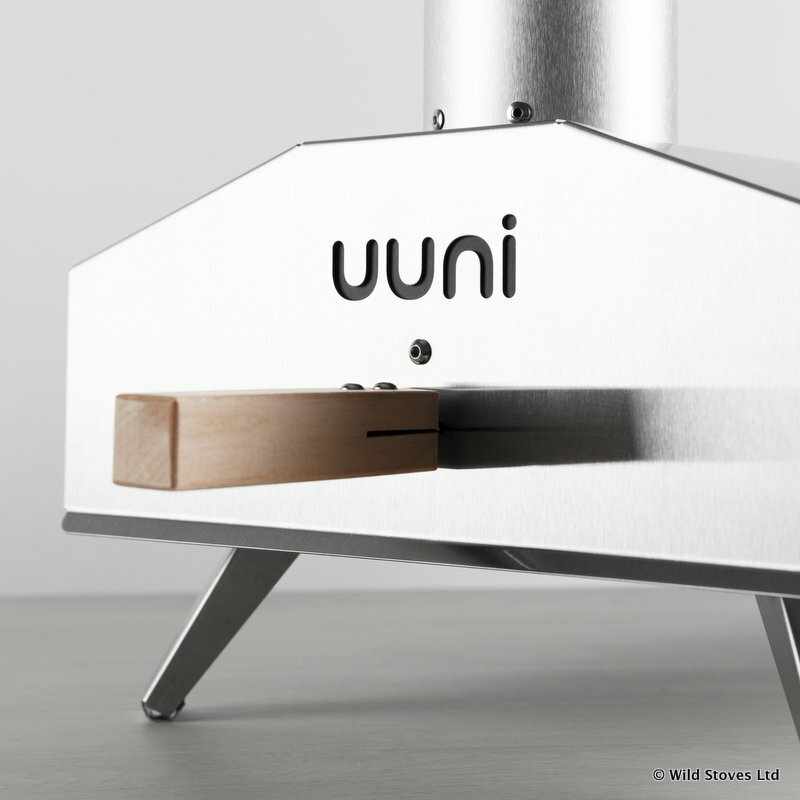 Firstly, the Uuni Pizza Oven is a revolution in wood fired pizza making. Unlike traditional pizza ovens, the Uuni 3 is portable and compact, easily carried by one in a compact package of just 9Kg. Secondly, Uuni 3 is powered just by natural wood pellets, which are dense in energy, convenient to use, and low-emissions. 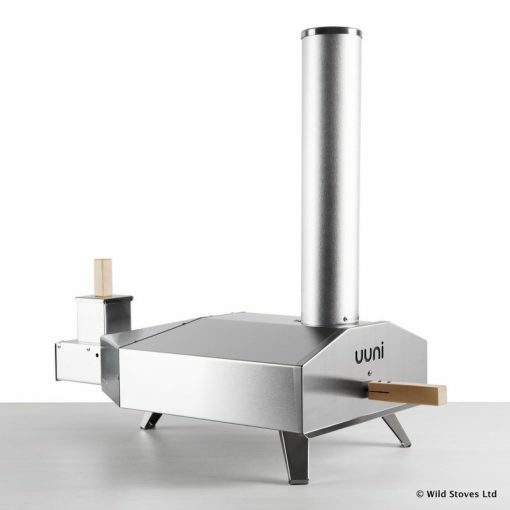 The oven therefore offers many possibilities in outdoor cooking, from meats to breads, fish to desserts! The oven is ready to cook in as little as 10 minutes after lighting. What is more, a pizza is cooked in as little as a minute, and you can just keep on cooking pizzas one after the next. Looking for a supply of fuel? 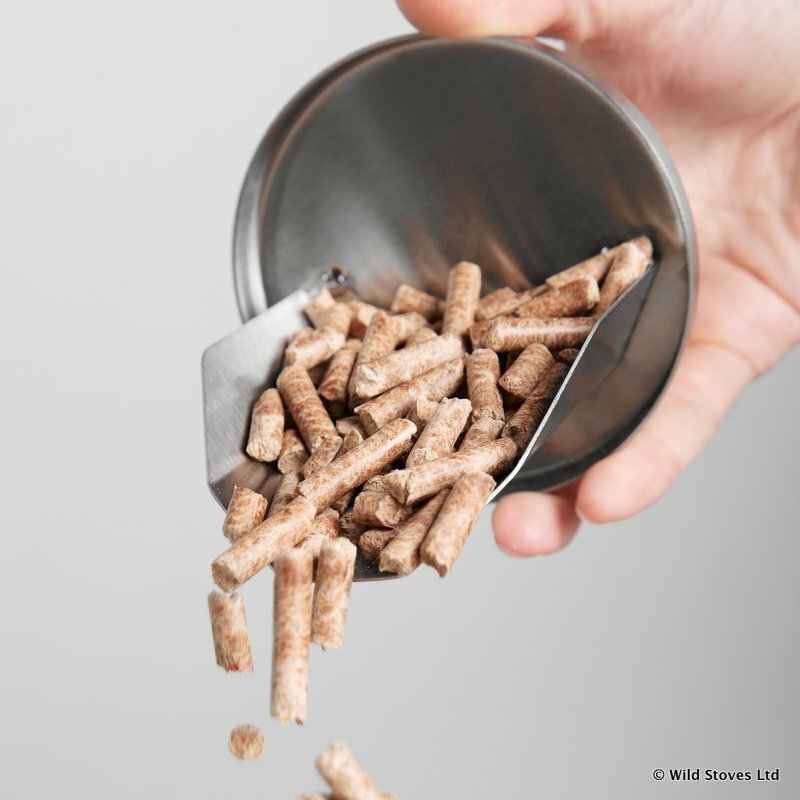 We now sell bags of wood pellets – enough for up to 10 hours of pizza baking! 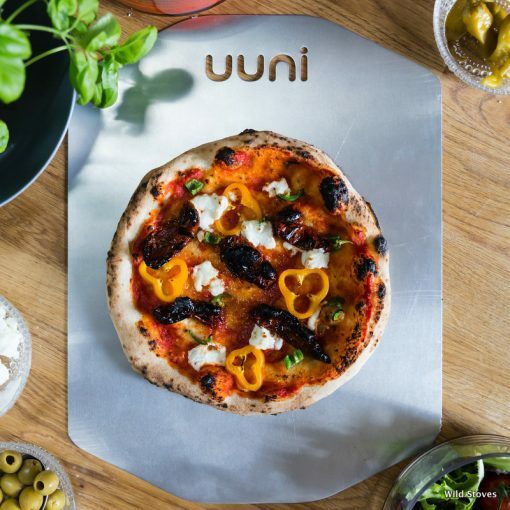 How does Uuni Pizza work? Wood pellets feed onto a metal grate from the small hopper (sticking out of the top at the rear of the stove). The pellets are lit using a little alcohol gel or lighting paper. They quickly begin to burn vigorously. 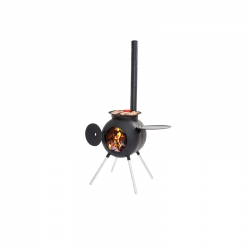 Consequently, smoke travels up the chimney which creates draw, in turn making the pellets burn hotter. After that, a sheet of flames lick across the ceiling of the oven, radiating heat down onto the pizza stone and whatever you’re cooking. Remember to keep the hopper topped up and you can keep cooking for hours. 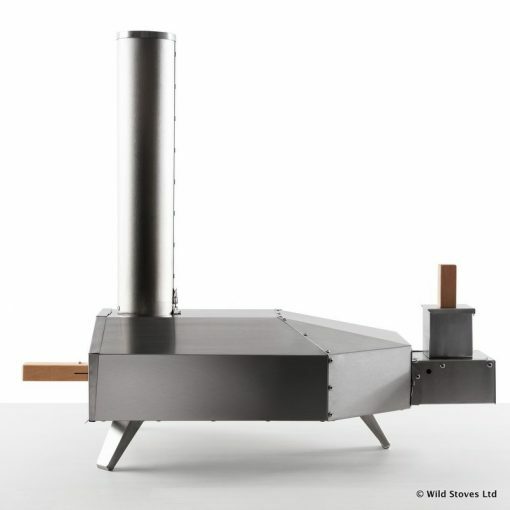 We at Wild Stoves have used this fantastic pizza oven extensively at food fairs, festivals and our back gardens. We found it easy to light thanks to the high chimney which creates a natural ‘draw’. Furthermore, the pizzas are consistently well cooked and of course create a wonderful focal-point to the picnic. Above all, the cook is outside throughout – not stuck in the kitchen! We once even cooked for over 100 people at the Green Gathering – probably not something I’d opt to do again quite on that scale, but everyone was fed! Check out our recent Blog post for more info on assembly, lighting and fuel. This pizza oven is for outside use only.